Shedding light on logistics, business, e-commerce and personal perspectives on life and other things. Connectivity: Is it doing more harm than good? I’ve written about this topic, and it seems like it’s always coming back to me. People are obsessed and spending way too much time on their phones. Before I continue, I want you to watch this video. What you watched there was video made by TheMingThing, a Malaysian YouTuber, that has noticed how the world has changed and how relationships are for the most part, online. Don’t get me wrong. I like to post pictures of my significant other online too, but it ends there. I do not put every little detail on it. But it goes to show, how people of today, value connectivity and being ‘up-to-date’ with the in thing that they forgot how to spend quality time with the people around them. Countless times have I eaten with friends or family, and half the table is just sitting there on their phones. It takes away the joy and fun of spending time. Taking time off from your schedule to be in the presence of people that matter, no longer hold much meaning anymore. So why is it that we use our phones all the time? Is it because it’s something we NEED to do? I think it is because of how technology has changed the way we function. What do you mean ‘the way we function’? Rewind a decade or two, there was no such thing as “Mobile Telephone”. Now I can’t say much about the 80s and 90s, after all, I was only born in the mid 90s, but I do know how people of that era didn’t have the luxury of information at their fingertips. Even the days when I was younger, in the early 2000s, the cellphone market hasn’t really taken off. 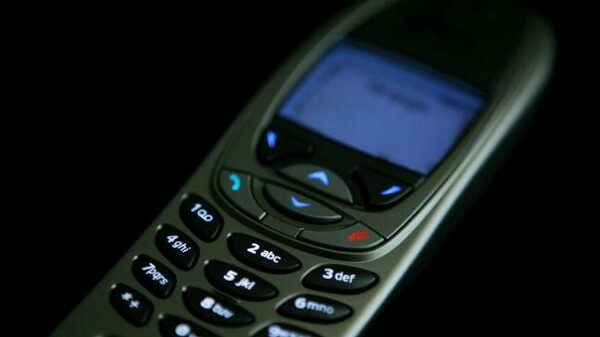 Dominated by mostly Nokia and flip phones, I grew up playing snake on my dad’s phone in the car. Of course, the experience doesn’t compare to today’s mobile gaming. With Clash of Clans, Candy Crush and the recent hit Pokémon Go, snake back then is pale in comparison. Those were the days when you had to actually talk to someone. SMS was already around, but who wants to go clickity-clack on a number pad just to say, “I’m on my way home”? People, dad included, actually had to call people to talk to them. Despite telecommunications being portable, we still talked. When we’re face to face, the phone is nowhere in sight! Social interaction was still a thing. People watched TV for entertainment, read a newspaper for the news, spent time during the holiday seasons catching up. So what about now? I think it’s still the same. When was the last night you had a conversation without looking at your phone? Albeit, some cope with this better than most and don’t get carried away. However, I can guarantee there will be at least one interaction every week where someone is busy on their phone. Personal experience has proven that a lot of people can’t stay off their mobile phones. Rarely do you see people go out and not have their phone out and reading Twitter or going on Instagram. I too, am guilty for doing such things. It has become a force of habit now that I check my Twitter, Instagram and Snapchat right after WhatsApp every morning, without fail. Is it a good habit? No. It has however, become us. We now crave instant news and updates to the point where waiting to get home to watch the news or read a newspaper just won’t cut it anymore. Social interaction is further reduced with this wonderful thing we brought to the phone called, Instant Messaging. When the occasion arise that you need to tell people something, what do you do? You don’t walk or commute to see that person to tell them (cause phone calls were expensive back then), you don’t even call them now. You text. Phone calls has become a tool for the urgent, gone were the hectic days of getting phone call after phone call. Day by day, we don’t realise, it’s a privilege, not an entitlement. I say it’s an entitlement, because you can live without it. I flew to Singapore very recently. Never being on vacation very often and only having taken one vacation prior to the one I had for the past year and a half, I needed the break. For the time that I was there, contact with my phone was kept to a bare minimum. Only ever using it to keep my parents updated and taking pictures, it was under utilised compared to my day to day usage. I had forgotten how enjoyable it is to be somewhat disconnected and focus on spending time with the ones that mattered. Being in a long distance relationship, time is a luxury I do not want to waste. We spent quality time and kept phone usage to a minimum and the amount and quality of interaction we had was something, at least for me, that isn’t a day to day thing. Maybe it’ll be different if we’re closer, but just being offline, was good. Having only really checked emails, social media, text messages at the end of the day, made me realise that being connected, isn’t as important as we make it to be. At least it was me. The messages that were left for me via email and text messages weren’t important, and didn’t require my immediate attention. When it did, I would receive a phone call instead. The above excuse, is invalid. So far, it’s all bad. Where’s the good? Alright, sorry. It has just been depressing hasn’t it? There’s good to connectivity, I promise! You may not realise the importance of connectivity, especially since we’re so used to, it has become something we take for granted. How many times a day have you actually thought, “I’m so lucky I have internet”? The internet has changed the way we live, for the better. With news being instant and everything literally one tap away on our little handheld devices, it changed the way we do things. The way we consume media, stay updated, communicate. Gone are the days (business people love this) when you had to fly halfway across the world for a meeting, solve an ongoing problem, or to sign a document. Everything is almost instant now. You get live updates on news and happenings, meetings can be done oceans apart, and signing documents? You can do that anywhere. It made life easy, no more driving down the street to ask your friend out for lunch/dinner. Great right?! I am interested in what you think! Give me your opinion, I’d love to have discussions on this topic! Get the latest and greatest from Aaron Michael delivered straight to your inbox every week.